After two years of technical issues, uncertainty, multiple delays and funding totalling more than £70 million, YouView has finally launched in the UK and will become available to consumers by the end of July at a cost of £299. A joint venture by some of the UK’s biggest TV and broadband brands, including the BBC, Channel 4, BT and TalkTalk, YouView aims to bring together catch-up TV services together on one platform and provide more choice for consumers. Speaking at the YouView launch event today, Lord Alan Sugar revealed that BT and TalkTalk have come on board as launch partners, offering extra content to subscribers of their broadband services and additional packages that will include YouView access. YouView says it has received expressions of interest from over 300 potential content partners and will soon have a range of quality content available from content partners including Sky’s Now TV and STV. Content partners are being encouraged to apply as of today. BT is expected to launch a branded player later this year, but for the moment, consumers will be offered a Humax set-top box, which will cost £299 when it hits stores later this month. 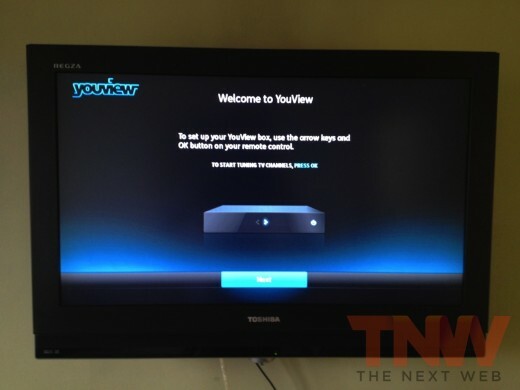 Last week we showed you shots of the YouView service running on the new Humax box, detailing the user interface, programme layout and services available when it launched. While it will be embedded in set-top boxes initially, YouView has the potential to be embedded within Smart TVs later down the line. Launching late in a market that already has Virgin, Sky and other services offering their own catch-up TV services via smartphones, tablets, games consoles and connected TVs, YouView has its work cut out. Setting the price at £299 may be its biggest barrier to gaining mainstream traction, although Lord Sugar does say he believes the cost will come down to £99 in the near future.